ARRIVING ON TIME: If you’re running late, you lose – spas often can’t push your appointment back more than 10 minutes. Unlike a hairdresser, a spa can not take two clients at one time. We want to give you our undivided attention at Ronnaskin, and therefore, need clients to be aware of their scheduled appointment time. Most spas have a 24-hour cancellation policy, and if you left a charge card number, you may be charged. If you know you’re not going to make it, let the spa know as soon as possible. A therapist might have come in just for you, and if you argue and don’t pay, the therapist doesn’t get paid and they only have however many hours in a day they have allotted for appointments to be able to earn income. Be conscious that short-notice cancellations will probably incur a charge, especially if you’ve left your credit card number at booking. Know the spa’s cancellation policies when you book and give as much notice as possible if you change your appointment plans. 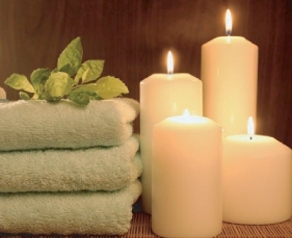 MIND YOUR MANNERS: Your cell phone should be turned off–and kept off–while in the spa; using either is a huge no-no. Better yet, leave both at home and make Miss Manners proud. In a relaxation room, conversation is fine as long as it’s in a soft tone and not disrupting someone else’s peaceful experience. Text-messaging is not an alternative to using the phone when calling would be considered rude. You would not take a call in the middle of a movie, a performance, or a meeting, and likewise, you should not send text messages. Make sure you’re texting to the right phone number! It’s very easy to dial the wrong number or select the wrong phone book entry. Don’t text-message anything confidential, private, or potentially embarrassing. You never know when someone might be looking over your significant other’s shoulder—or worse yet, when your message might get sent to the wrong person. When you have a chance, respond to a text message with either a text message or a phone call. Just as you should not be answering your phone during a conversation, you should not send a text message when you are engaged with someone else. If you are with someone who will not stop text messaging during your conversation, feel free to excuse yourself until they have concluded their messaging. You shouldn’t use text messaging when informing someone of sad news, business matters, or urgent meetings, unless it’s to set up a phone call on the subject. If you receive a text message that was sent to you by mistake, reply explaining that you aren’t the intended recipient. You don’t have to respond to anything else in the message. Finally, remember that as with email, you can’t know for sure when the recipient is going to read his or her message—so don’t freak out if your text message doesn’t get an immediate response. Sometimes when your service provider is with a client, their hands are not free and can not reply. Also remember appropriate times of day to text, this would be the same as appropriate times to call. Remember also business hours. In Ronnaskin’s case, if a request is made of when an appointment is, remember you can view on line at https://www.vagaro.com/ronnaskinwestminster or https://www.vagaro.com/ronnaskin-evergreen. Imagine the time it could take to reply to 5-10 people a day. VALUABLES: Though many spas offer locker facilities, leave jewelry and valuables at home in order to avoid any worries or stress. PERFUME: Because the emphasis should be on relaxation and because others may be allergic, it’s best not to wear perfume to a treatment. TO TALK OR NOT TO TALK: You can talk during the treatment or be still, as you choose. The therapist should follow your lead. If you’re not talking and the therapist won’t be quiet, you can say something like, “I’m just going to zone out/be quiet/rest for a little while.” The therapist will get the hint. In general, try to use a quiet “spa voice” when you talk anywhere in the spa. MEDICAL CONDITIONS: If you have any type of medical condition, be sure to mention it when you book an appointment. Certain treatments may not be advisable for you. Also, tell the technician if you’re wearing contact lenses before you have a facial. Let us know about anything that may affect you, including topical or internal treatments for skin that you are using or that make you sensitive to sun and or acids. We want to work with you, but we may not always know or think to ask of everything. EATING AND DRINKING: Try not to eat for at least an hour before a treatment, and avoid the consumption of alcohol on the day of a treatment. Drink plenty of water before and afterward, This will make for a more relaxing service for you. 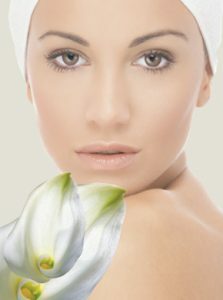 When it comes to hydration, that will also ensure the best results in a skin care service. CHEWING GUM: Chewing gum is a great way to keep your mouth free from bacteria and to freshen up your breath between brushings. By following our top tips for chewing gum etiquette, you will keep classy and winter fresh! Chewing gum is like chewing food – do not do it with your mouth open. This will help you avoid looking like a grazing cow. Following rule #1 in chewing gum etiquette should help you with a common complaint of those who chew gum: do not “smack” your gum loudly. It drives everyone around you nuts. Even if they will never say anything. When eating or drinking, discard of your gum and get a new piece afterwards. Do not affix your gum to your plate or cup to “save for later”. While in public, do not blow bubbles with your gum. Chewing gum packs ask you to “dispose of properly” for a reason. All of those dark grey spots on the sidewalk used to be colorful pieces of gum. And stepping on a freshly discarded piece of gum causes havoc on your shoes. For you school kids, do not ever reach under your seat – generations that have come before you have placed their spit soaked gum under there for years. The proper way to dispose of your gum is to wrap it in a piece of paper (the original gum wrapper is perfect for this) and to throw it in a trash can. Or, you can swallow it in an emergency, but, the health effects of that are debated. I’m pretty sure it does not stay in your stomach for seven years, like the old wives’ tale states! *Please remember when having a spa service, you are likely laying down. This increases your chances for choking. Your service provider has to focus on that concern and it could be taking away from other focuses. Gum is best thrown out prior to entering the spa environment. SPREAD THE WORD: If you have a good visit at the spa, consider telling others, such as friends, family members, coworkers, and neighbors about it so they can visit, too. Facebook, Yelp and Twitter are also great ways to leave reviews.